Island Insurance Company, Ltd., the State’s largest locally owned and managed property and casualty insurance carrier, has been recognized as one of the Top 50 property and casualty insurance companies in the nation by the Ward Group for the third consecutive year. 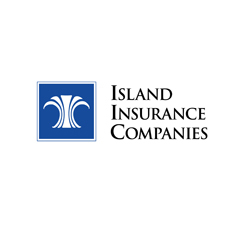 In 2008, Island Insurance was the first Hawaii-based property and casualty insurance company to achieve the Top 50 recognition in the award’s history. The Ward Top 50 recognition places Island Insurance within the top 2% of the leading property and casualty insurance companies in the nation. Ward Group is a consulting firm specializing in the insurance industry, and is the leading provider of industry benchmarking and best practices services. Each year, the company analyzes the financial performance of over 3,000 property and casualty insurance companies domiciled in the United States and identifies the top performers. Each Ward Top 50 company has passed all safety and consistency screens and achieved superior performance over the five years analyzed (2005 – 2009).